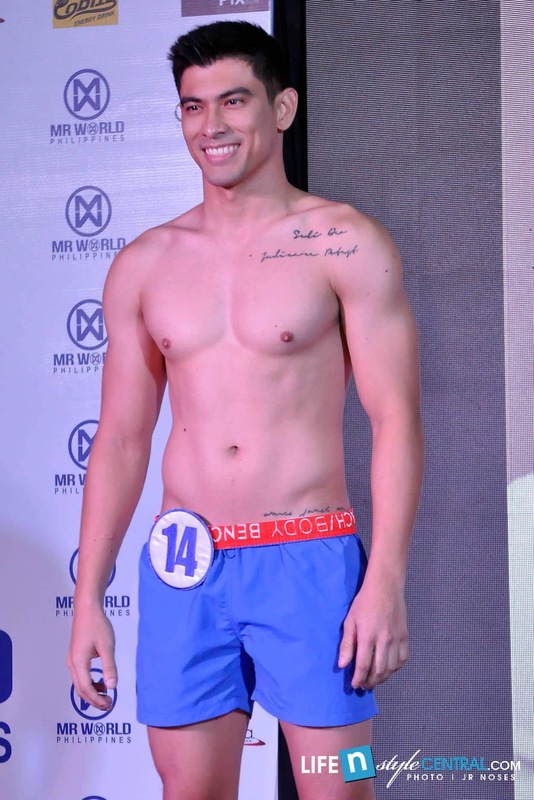 Miss World Philippines Organization proudly presented the 16 contestants of Mr. World Philippines 2018 during the press presentation held last September 4 at Vestibule Bar, Resorts World Manila. Today’s hottest PH bachelors presented themselves to the media by wearing Bench underwear on the runway. The candidates will undergo a series of pre-pageants activities leading to the final night on September 15 at the Newport Performing Arts Theater at Resorts World Manila. Pre-pageants include Sports Challenge and Talent Competition. Arnold Vegafria (National Director) and Bessie Besana (General Manager) together with the official candidates of Mr. World Philippines 2018. Arnold Vegafria, National Director of Mr. & Ms. World Philippines explains what differentiate the pageant to other male contest. “What set this male pageant apart from the rest is that the pageant is not just good looks or brain. Aside from the usual categories which includes styles, sports, talent and extreme sport, the Mr. World pageant introduce Multimedia where contestants have to impress their fans on their respective social media pages with the remarkable and moving presentation about specific topics assigned to them,” Vegafria said during the press presentation. “It’s not just a test of strength, fitness and charm. More importantly, the real measure of a man is his heart and purpose particularly his passion,” Vegafria added. The winners will represent the Philippines at the international pageants. Aside from the main title, Mr. World Philippines, there are other crowns that are up for grabs: Mr. Supranational Philippines and Mr. Eco International. Philippines will host the upcoming Mr. World international pageant slated on January 2019. Here are the official candidates of Mr. World Philippines 2018.